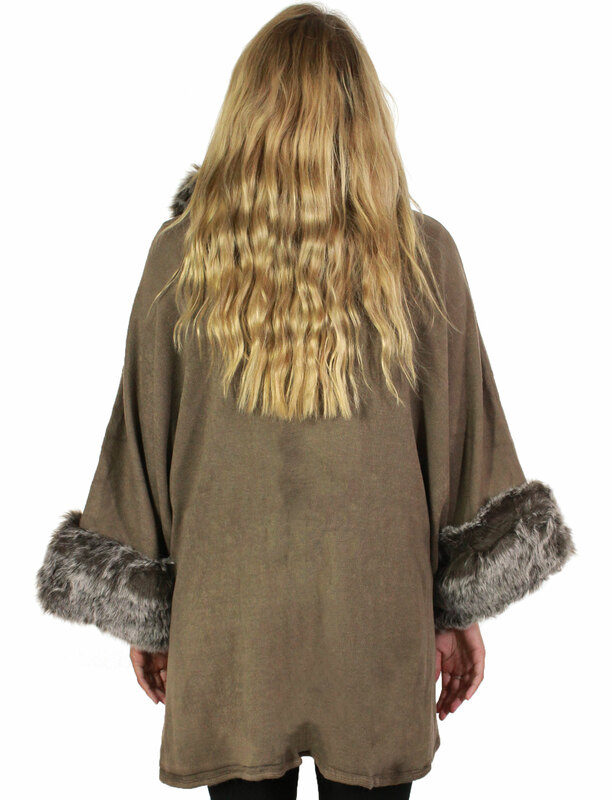 Get cozy and chic in this high style cape trimmed in realistic faux fur. 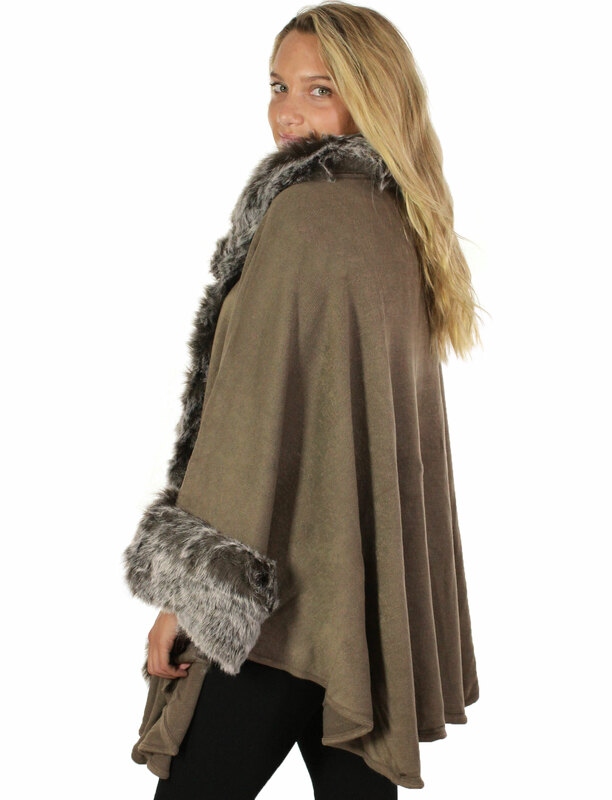 The body of the cape is a dense soft knit and fur trims the neckline, front and cuffs giving this piece a noble, rich appearance. 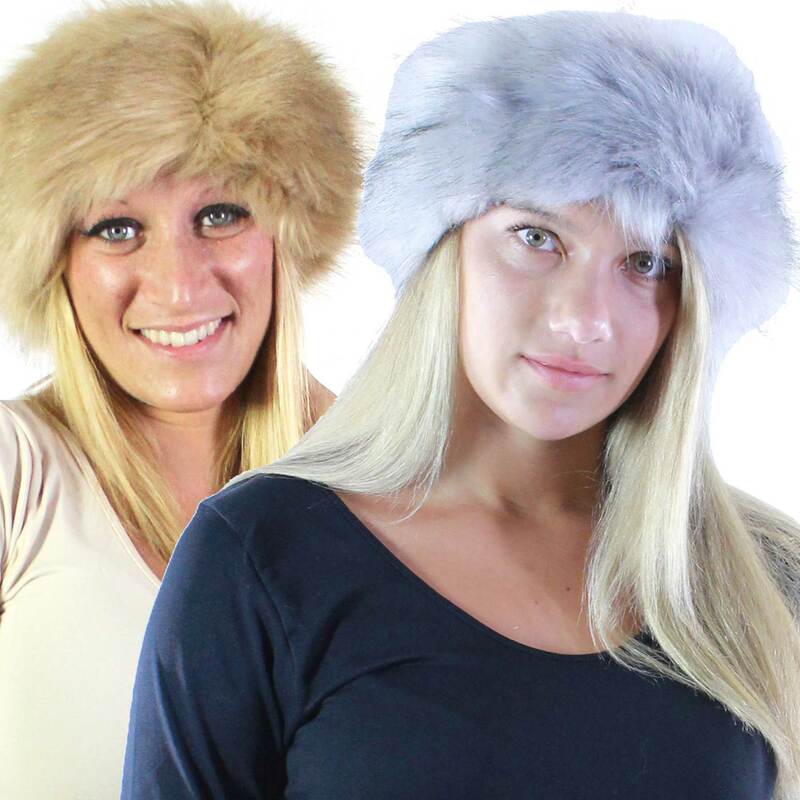 Features also include a discreet fabric covered hook and eye closure at the neckline.